With group insurance plans and employers reluctant to embrace medical marijuana, Evergreen Pacific has stepped in with what its CEO believes is an affordable alternative for patients. Their e-commerce marketplace, Buywell.com, which features more than 10,000 health and wellness products and alternative health coverage options, last month launched Canada’s first guaranteed issue Medical Cannabis Coverage Plan and Medical Cannabis Savings Calculator called BuyWell Care. And this month it welcomed its first patient after Joshua Kenny, of Toronto and a three-year medical cannabis patient, adopted the policy on January 2. Evergreen Pacific CEO Robert Wilson said that with many plans restricting their coverage, patients deserve the option of coverage with no caps or exclusions. He said: “Canadian insurers have opted to treat medical cannabis as a Pre-Authorized Drug which by definition results in exclusions under available group insurance plans offered by employers across the country. He added that many of these same employers have imposed coverage limits – typically $2000, 2500 per year – as well as co-pay conditions. He argued that the combination of these exclusions and caps mean that the patient may not qualify for coverage or that the coverage may last for only a few months. Wilson said Buywell Care’s coverage includes membership of the Alternative Health Association of Canada. It is currently available to all Ontario residents regardless of any pre-existing conditions and coverage does not require members to switch out of their current insurance companies to access BuyWell Care's benefits. He said: “Less than 60% of Canadians have extended health insurance coverage of any kind, so there are millions with no coverage at all. Our coverages are offered as a membership benefit of The Alternative Health Association of Canada. AHA membership is free and coverages are tailored to each member's needs. Evergreen Pacific also provides group insurance coverage based on the same principles as offered for individuals through the AHA membership. Wilson believes this can save employers as much 40% when compared to their competitors and claims that their employees can expect to increase their purchasing power under our plans by more than 45%. 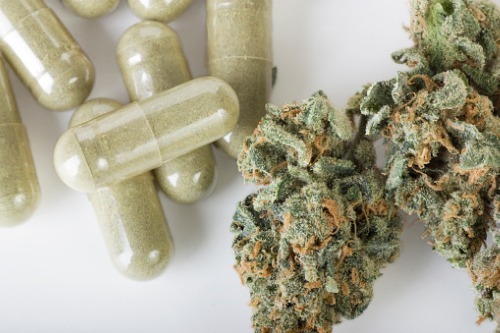 BuyWell Care plans to expand their medical cannabis coverages across Canada through 2019 and the coverage will include treatments incorporating medical cannabis oils, dried flower, gel capsules and other cannabis derivatives. To help patients understand how much they can save with BuyWell Care's Medical Cannabis Coverage, its website includes an online calculator where you can simply enter their dosage and preferred method of treatment to receive an instant online estimation.